For over 16 years Dr. Ash Soufi and Medora Dental Care have been serving your oral and dental health needs in Abbotsford, Chilliwack, Mission and the surrounding areas. Our qualified staff strive to offer you a friendly service every time you come into the dental clinic – and one of the top questions asked is when to start bringing children in for their first visit. The Canadian Dental Association recommends the assessment of infants, by a dentist, within 6 months of the eruption of the first tooth or by one year of age. The goal is to have your child visit their family dentist before there is a problem with his or her teeth. In most cases, a dental exam every six months will let your child’s dentist catch small problems early. You can find out if the cleaning you do at home is working. Your dentist can find problems right away and fix them. Your child can learn that going to the dentist helps prevent problems. Your dentist may want to take X-rays. X-rays show decay between the teeth. They will also show if teeth are coming in the way they should. Your child’s dentist may also talk to you about fluoride. Start young, the earlier a child visits the dentist, the better. ends up needing a treatment, she/he might lose trust in both the dentist and you. Watch your words – avoid works like shot, hurt, or pain with children. Let the dental staff introduce their own vocabulary to children to help them get through difficult situations. Use positive phrases like “clean, strong, healthy teeth” to make the visit seem fun and good rather than scary and alarming. Consider a pretend visit – you’ll need a toothbrush, count your little one’s teeth, even hold up a mirror and show him/her how the dentist might look at and check her/his teeth. Then let your child role-play by using a toothbrush to clean the teeth of a stuffed animal or doll to feel more comfortable for the real visit. Picture books with detailed illustrations and easy-to-understand language can also help children get a sense of what to expect. Do not try to relate by taking your children to your own dentist appointments, you may transfer your own anxiety without realizing it. Most pediatric dentists make their offices kid-friendly – some have video games, pleasing pictures on the walls, and movies or TV shows kids enjoy – so focus on the positives. Prepare for some fussing – it is normal and age-appropriate for a young child to cry, whine, wiggle, and not want to be examined by a stranger. Let your dental clinic care professional guide you, most have seen their share of tantrums, you only need to provide comfort and prevent your child from grabbing any dental instruments. Avoid bribery, it only increases their apprehension. Instead, after the visit is over, praise your child for good behavior and bravery. Emphasize the importance of good oral hygiene – teach your child that visiting the dentist is a necessity, not a choice, and that the dentist will take care of their teeth so that they are strong enough for him/her to eat and have a beautiful smile for years to come. 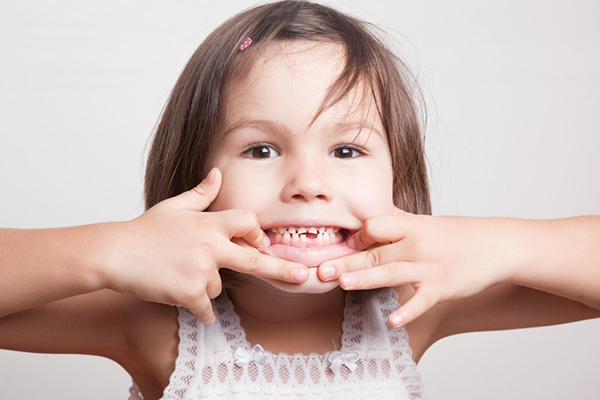 If you are concerned about your child’s oral health, or to back their first visit, contact us, Medora Dental Care, at 604-746-1295 today in Abbotsford to book an appointment to ensure good oral hygiene practices for your child’s teeth and gums. © 2019 Medora Dental. All Rights Reserved.